In 1937, the building housed the Grill-Restaurant under the brand name “Skotida Country Restaurant”, comprising the starting point of the Masquerade Parade towards the limits of Patisia, where the Panathenaia were celebrated and later on, 1st May festivities were held in the adjacent suburb of Nea Filadelfia. 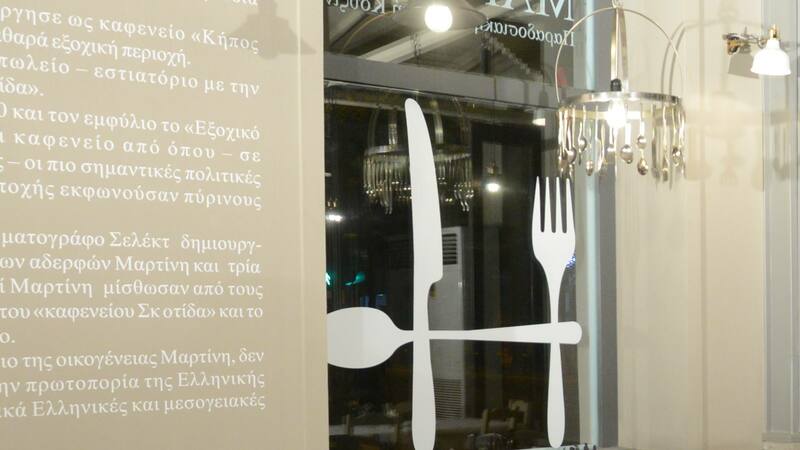 After the ’40-’44 War and Civil War in Greece, the “Skotida Country Restaurant” once again became a café, where- during election periods- the most significant politicians, at the time, delivered their fiery speeches. During the ‘50s and later on, when the “estate partnership” legislation replaced all the beautiful country villas, thus producing a plethora of blocks of flats, the “Skotida Café” was supported through urban planning policies, while it was renovated once more. The Church of Saint Lucas, in honour of the Apostle and Evangelist, Saint Lucas, was erected on the ruins of the pre-existing Monastery of Saint Lucas, from 1864 up until 1870, when it was inaugurated. The Church is of great architectural importance and one of the early works of the great German Architect, Ernest Chiller, who came to Greece in 1861. Its architectural form is Byzantine cross-in-square or cross-dome, featuring a square centre with an internal structure shaped like a cross, topped by a dome. The winged altarpiece is the design of Chiller, while the dome painting is the work of Karl Rahl, who has also painted the exterior synthesis of the Athens University Propylaia. Saint Lucas Church was expanded in 1928, design of the celebrated architect, Stamatios Paterakis. The final façade expansion, including the gallery and bell towers, is the work of the great Greek Church builder, Georgios Nomikos, who later undertook both the exterior and interior renovation of the Church.